In England, wild badgers (heretofore a protected species) are being hunted down and killed, en masse, on behalf of dairy farmers ("Badger Battle: British Animal Lovers Protest Cull") who complain that badger urine and saliva secreted on the ground causes bovine tuberculosis when their dairy cows graze on pastures. This seems like a perfect illustration of the extreme human hubris and violence against Nature which is systematically ruining the Earth in the form of agro-industrial ecocide. The dairy farmers have many options, none of which they seem to be exploring. First, they could simply accept that a certain number of cows are going to fall ill. Disease is part of nature, and over time, if they left Nature to her own devices, they would probably see their herds develop natural immunity, as the weakest succumb and the strongest survive. Second, they could replace their cows with other milk-producing livestock who are immune to badger urine. For example, goats and sheep produce milk too. 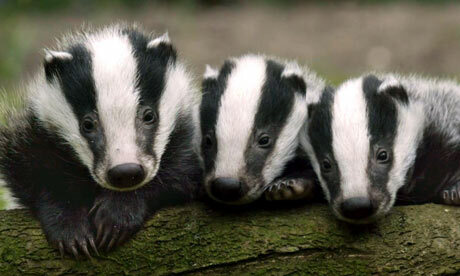 Third, they could perhaps take extra measures to tend to their pastures, locating and cleaning areas where badgers are known to forage. There are many options that are far better than simply hunting down every last badger and turning the natural environment into an open-air factory farm. If sustainability means anything, it means honoring the rights of each and every species and respecting the natural ebb and flow of Nature's systems; not killing off certain species in order to promote others, and not interfering in Nature's own cycles. The licensed killing of badgers in parts of Gloucestershire and Somerset could achieve a number of things. It could further advertise the unwelcome existence of bovine tuberculosis in British dairy herds. It could polarise opinion in the countryside and unite political opposition everywhere else. It could cost the farmers involved more than they could gain. It will almost certainly provoke active protest and put even more pressure on already hard-pressed police forces. What it will almost certainly not do is limit bovine tuberculosis, even in the target zones of Gloucestershire and Somerset. Michael Pollan's Food Rules from Marija Jacimovic on Vimeo. You wouldn't know it from all the plastic bags in the garage of our four-unit building, but San Francisco banned plastic bags at supermarkets and pharmacies on November 20th, 2007. We've been good about collecting the plastic bags we've received over the last two years, but now what do we do with them? Some Whole Foods and Safeways used to have collection bins, but they're hard to find lately. Cole Hardware still collects them. Where else? Fortunately, I just found a site that has a searchable database of plastic bag collection sites. Plastic bags are recycled into many different products. Most plastic bags are recycled into composite lumber but can also be reprocessed into small pellets, or post consumer resin, which can become feed stock for a variety of products such as new bags, pallets, containers, crates, and pipe. You can help by returning clean, dry, empty plastic bags to recycling drop off centers or retailers and municipalities that provide designated plastic bag recycling bins. Now if we would all just get better about bringing reusable canvas bags to the stores that still use plastic bags. ...or else risk an unimaginable future. The ground-up green redevelopment of Treasure Island will orient major streets to block gusts of wind, which primarily hit the artificial island from the southwest. The result is a grid of streets rotated exactly 68 degrees, as determined by the geniuses at CMG Landscape Architects. And thus shall pedestrians enjoy the pedestrian-oriented modern village that's being built just for them on the grounds of the former naval base. Recall that, true to the principles of smart growth, density's the key word— only 100 acres of the island's total 400 will be future-ized. The rest? Open space. Plans also include turning the west-facing part of Yerba Buena into a some sort of mini-Telegraph Hill, with townhomes up and down the hill, capped by a new park. The 6,000 to 8,000 residences included in the master plan will be farmed out to individual architects to avoid an "architectural monoculture" with – alas – no fake Victorians. In 2007, U.S. residents, businesses, and institutions produced more than 254 million tons of MSW, which is approximately 4.6 pounds of waste per person per day. Currently, in the United States, 33.4 percent is recovered and recycled or composted, 12.6 percent is burned at combustion facilities, and the remaining 54 percent is disposed of in landfills. Recycling, including composting, diverted 85 million tons of material away from disposal in 2007, up from 15 million tons in 1980, when the recycle rate was just 10% and 90% of MSW was being combusted with energy recovery or disposed of by landfilling. Typical materials that are recycled include batteries, recycled at a rate of 99%, paper and paperboard at 55%, and yard trimmings at 64%. So the good news is that the recycling rate increased from 10% to 33% from 1980 to 2007, up from 28% in 2005. 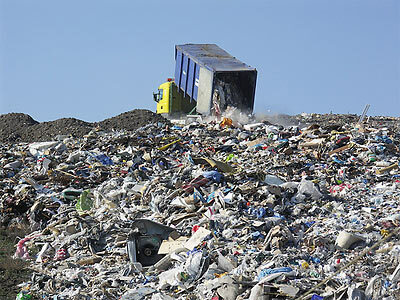 The bad news is that more than half of the solid waste the United States produces still ends up in landfills. And we're consuming, ie producing more waste, than ever before. Even with more of us recycling, the amount of garbage we create continues to grow: in 1980 we put 135 tons of waste into landfills; in 2007, we put 169 tons of waste into landfills. I used to leave my computer on when I left the office at the end of the day, so that it could be backed up. Not now. How could I after reading this? U.S. organizations squander $2.8 billion a year to power unused machines, emitting about 20 million tons of carbon dioxide — roughly the equivalent of 4 million cars — according to a report to be released Wednesday. About half of 108 million office PCs in the USA are not properly shut down at night, says the 2009 PC Energy Report, produced by 1E, an energy-management software company, and the non-profit Alliance to Save Energy. The report analyzed workplace PC power consumption in the USA, United Kingdom and Germany. I've been saving styrofoam packing peanuts for a few years now. I was tired of looking at the bags of the stuff in my truck, but couldn't bring myself to throw them away, knowing how bad stryofoam is for the environment. Since I don't send many packages that require packing, I wasn't sure what I'd do with them, until today. EcoFindeRRR, a web tool created by SFEnvironment, a department of the City & County of San Francisco, allows you to search by zip code and find places to recycle everything from appliances to pesticides, and yes, styrofoam packing peanuts. I recycled mine at the Packaging Store. 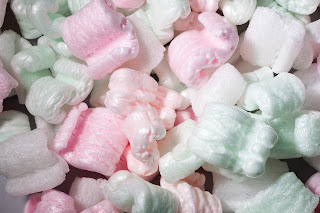 If you don't live in San Francisco, you can recycle your styrofoam packing peanuts at one of over 1,500 Peanut Hotline collection sites in the US. It looks like recycling has hit a major glitch: too much supply is chasing too little demand. This story from Sunday's New York Times ("Back at Junk Value, Recyclables Are Piling Up") reinforces the importance of reducing and reusing waste at the source. 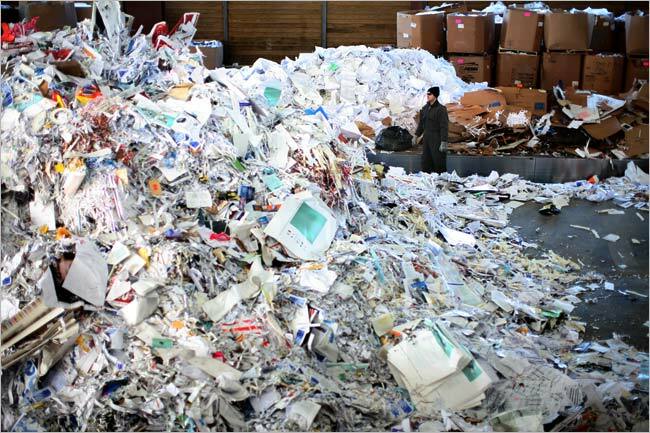 The economic downturn has decimated the market for recycled materials like cardboard, plastic, newspaper and metals. Across the country, this junk is accumulating by the ton in the yards and warehouses of recycling contractors, which are unable to find buyers or are unwilling to sell at rock-bottom prices. On the West Coast, for example, mixed paper is selling for $20 to $25 a ton, down from $105 in October, according to Official Board Markets, a newsletter that tracks paper prices. And recyclers say tin is worth about $5 a ton, down from $327 earlier this year. There is greater domestic demand for glass, so its price has not fallen as much. ...the economics, while they have soured, still favor recycling over landfills. In New York City, for instance, the city is getting paid $10 for a ton of paper, down from $50 or more before October, but it has no plans to cease recycling, said Robert Lange, the city’s recycling director. In Boston, one of the hardest-hit markets, prices are down to $5 a ton, and the city expects it will soon have to pay to unload its paper. But city officials said that would still be better than paying $80 a ton to put it in a landfill. Popular Mechanics profiles the "5 Top Retro Eco-Supercars: Best Fuel Sippers of the Past 34 Years." 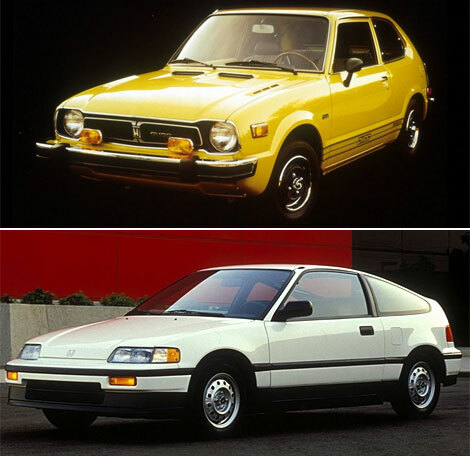 It says a lot about the auto industry and consumer behavior that most of these cars weren't made recently. The car companies can do better and car consumers should demand more from them.